As the New Year kicks off, influencer marketing remains a hot topic with no shortage of 2018 top trends articles on the subject. While recovering from holiday festivities, we took time to review many of these articles to serve up the top influencer marketing trends noted across the board, with of course, our opinions tossed in too. 2018 will see the strategic use of a range of influencers in campaigns. In 2017, influencer marketing proved to deliver tangible bottom line results when planned strategically and executed well. Over 70 percent of brands used influencers in their 2017 marketing plans and 95 percent found it to be effective. Many thought leaders reported that it’s one of the most effective methods of advertising available given the low cost, high engagement and improved targeting abilities. One study found influencer marketing to have three times the ROI of traditional marketing with 62 percent lower cost. Marketers wanting the most robust returns on their influencer marketing investments need to create longer-term strategies for their brand—not just “throw in” an influencer campaign here and there. That spaghetti doesn’t stick anymore. Building meaningful and more efficient relationships between brands and influencers requires longer-term programs and an “always-on” strategy to drive home the relevancy and “true believer” status of the influencer with his/her audience. When influencer marketing hit the scene years ago, it was largely a function of the PR team or agency, as the efforts were frequently another means of generating ‘earned’ media from predominant bloggers of the day. Back then, online influencers were all too happy to receive products or experiences in exchange for “coverage” on their blogs or social profiles. Oh, how the times have changed. This year, smart marketers will integrate influencer marketing into their full range of marketing campaigns and activations to meet critical KPIs and drive ROI. In addition to delivering targeted brand awareness, engagement and premium sponsored content for brand leverage, strategically deployed influencer marketing can positively impact everything from paid media and retargeting strategies, lead generation efforts and e-commerce sales, to shopper marketing programs and retail activations, and live event “coverage” that brings online eyeballs to offline experiential events. If 2017 showed the advantages of partnering with “power middle” and micro-influencers, 2018 will see the strategic use of a range of influencers in campaigns—from macro or “super top tier” influencers to their lower following influencer counterparts. Using a mix of content creators allows brands greater depth and breadth for sponsored content development and distribution—even more important when you work within a clearly defined niche or specialty area. By combining a mix of influencers, you can get the high engagement rates micro-influencers deliver (as multiple studies prove) while also earning the cache and audience reach an “A-list” influencer can bring to the party. Just as marketers have clued into the power of working with online influencers, influencers have clued into the power they yield for brands—and they know the value it holds. While most influencers are ethical and entrepreneurial, there are some bad apples out there that purchase followers and otherwise game their “influence” in the hopes of netting more opportunities and higher brand fees. So be picky about picking your influencer partners. Many influencer “discovery” platforms claim to offer easy access to “clean” lists of influencers that meet specific criteria. At best, these lists are mere starting points for the real human vetting and data verification required, something an algorithm simply can’t provide. Identification and vetting are time consuming—a chief pain point marketers cite about conducting influencer marketing in-house. Proper identification and vetting is critical as brands need and want to work with influencers who have true passion for their product or vertical and a valuable target audience that relies on them for product knowledge and insights. This time intensiveness is a big reason why 42 percent of marketers outsource to specialized influencer marketing agencies with the experience and established relationships to not only find the right influencers, but the know-how to engage and work with them in ways that best serve the influencers’ and the brand’s goals. As the budgets for influencer marketing expand from PR to advertising, media, experiential and even shopper marketing budgets, 2018 will continue to bring better measurement tools and technologies for marketers. Vanity metrics such as “potential impressions” just don’t cut it anymore. Marketers need to work with their teams and agency partners to design very specific influencer marketing KPIs and be sure they are being tracked. These KPIs can include “actual reach,” content engagement, unique traffic to a brand site, sign-ups for events (virtual or live), or likely a combination of these and more. It is not enough to just tally up an influencer’s following and call it a day. Real results require real tracking. A few high-profile 2017 FTC cases against influencers and the brands who hired them serve as notice to marketers and influencers in 2018: Disclosure is paramount for all influencer content programs, even the “sent a free sample so they don’t need to disclose” programs. Those days are over! The FTC is cracking down on those who aren’t crystal clear with their followers about the true nature of their brand relationships. 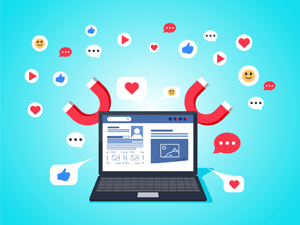 This is why many influencers prefer longer-term relationships with brands so they build the brand connection with the audiences rather than one-off posts that may bring their veracity into question. All signs point to influencer marketing maturing as a multi-faceted discipline marketers can use to creatively reach their target customers with relevant, contextual and inspiring messaging via influencers they know and trust. On the flipside, 2018 brings a reckoning between agencies and technologies that understand, value and facilitate the strategic relationship building and effective content distribution and amplification required for successful influencer marketing efforts, and those services being sold as “easy” or developed to simply jump on the growth bandwagon to make a quick buck. The best in influencer marketing for 2018 will belong to brands and agencies that understand the strategic use and integration of influencer partnerships and the marketing benefits they offer to reach the right consumers with the right story through the right channels with relevancy and authenticity. Karen Koslow is co-founder & managing partner at Wellness Amplified.